Nets open 06-15. Relatively light winds from SE, mostly cloudy. Netmeter hours = 2800. Ringed: Winter Wren 1 (first this season), European Robin 5, Redwing 1, Song Thrush 2, Chiffchaff 3 (first this season, ssp. abietinus), Goldcrest 3, Chaffinch 3, House Sparrow 2, Yellowhammer 2. Total = 22. Also 6 controls. 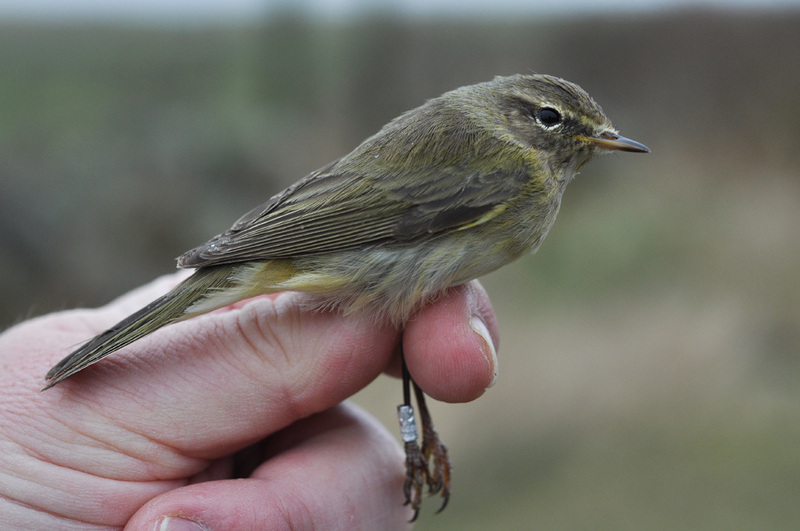 The first Chiffchaffs of the season was ringed today, all arriving late in the day. Alf Tore Mjös and Ingvald Ekeland. 7 visitors.